The Canadian girl group Lillix probably should have been more successful. But they had record company problems. It's About Time was their only chart single. They were teens when they first formed in 1997 as Tigerlily. They are from Cranbrook, BC. They all sing but they also play their own instruments. The band was Tasha-Ray Evin on guitar, her older sister Lacey-Lee Evin on keyboards, Louise Burns on bass and Kim Urhahn on drums. After playing local clubs, a demo found its way to Maverick Records owned by Madonna and Guy Oseary and distributed by Warner Bros. Tigerlily signed with Maverick in 2001 and the group name was changed to Lillix. Their debut CD Falling Uphill was released in 2003. They worked with several producers with recording engineer Philip Steir supervising. It's About Time was written and produced by the production group The Matrix (Graham Edwards, Lauren Christy, Scott Spock). They had their biggest success with Avril Lavigne and you can hear that influence on It's About Time. Lillix also covered the Romantics' classic What I Like About You and it was used as the theme of the sitcom What I Like About You. They also worked with producers like Glenn Ballard (Alanis Morrissette), Linda Perry (Pink) and John Shanks (Michelle Branch). So with all that high powered talent, why did Lillix go nowhere? There were problems at Maverick. Madonna sued Warners and there was a countersuit. It was gross mismanagement and Maverick closed after releasing Lillix's second CD only in Canada in 2006. 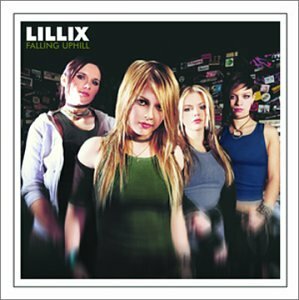 Lillix continued and they released a CD in Canada in 2010. Louise Burns has recorded a few solo CDs. Lillix continued for a few years. They don't appear to be active right now. Here's the video for It's About Time by Lillix.